SONI (System Operator Northern Ireland) is the licensed Transmission System Operator in Northern Ireland and operates the Single Electricity Market (SEM) with EirGrid through the Single Electricity Market Operator (SEMO). SONI has been a member of the EirGrid Group since 2009. From our control centre in Belfast, we ensure that power flows where and when needed. We bring power from those who generate energy, and supply the distribution network operated by Northern Ireland Electricity that brings power to individual homes, farms and businesses. SONI is responsible for operating the Transmission System in real time and planning for the future of the grid. 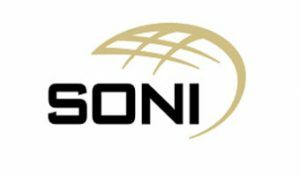 Through the DS3 Programme (Delivering a Secure, Sustainable Electricity System) in Ireland and Northern Ireland, SONI brings valuable expertise and practical experience of operating and planning the transmission system with increasing levels of renewable generation. SONI is responsible for Work Package 4 which develops the tools and procedures to equip system operators with the new operating practices required to operate the system following the introduction of new system services and at high levels of RES-E. SONI will also contribute to Work Package 2 which sets out technical and socioeconomic needs of a secure low carbon European system.